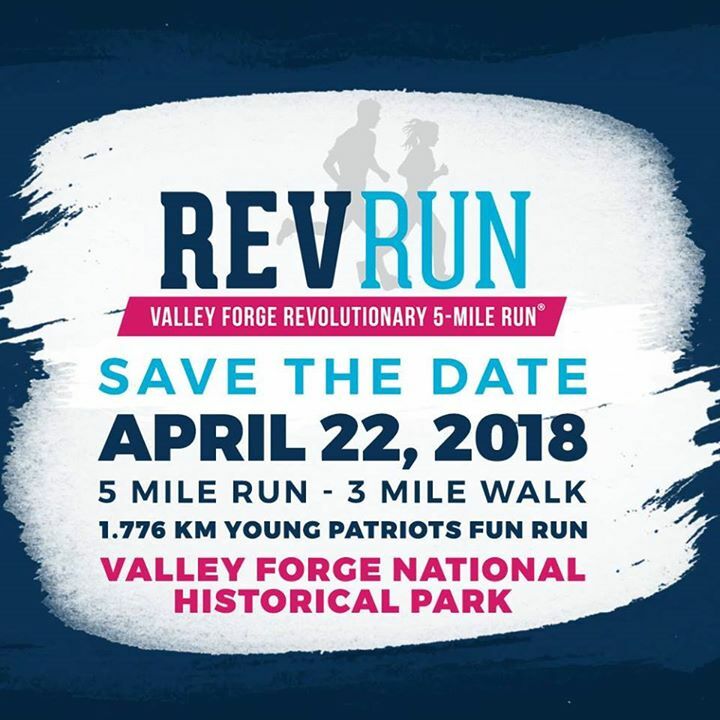 The Valley Forge Revolutionary 5 mile run is a unique challenge for runners of all skill levels. Runners trek through the scenic Valley Forge National Historical Park. The event also includes a 3 mile walk and a 1.776km Young Patriots Run for kids ages 6-14. All proceeds from the event benefit the Valley Forge National Historical Park.